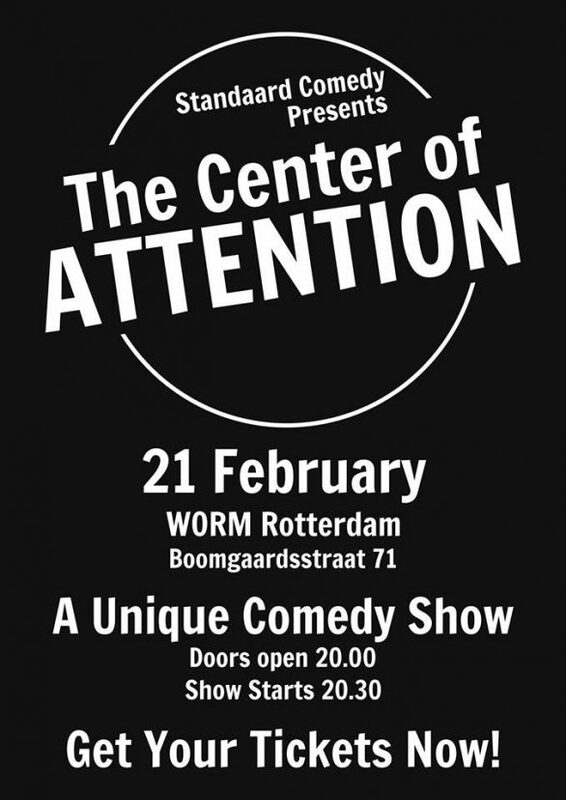 Join us for this special show in the WORM UBIK, where the comedians will be, literally, the “Center of Attention!”Four international comedians will perform on a stage in the middle of the room, while the audience will surround them. There is nowhere for them to run or hide, resulting in one of the most fun shows there is! As usual, regular MC Jeroen Bloemhoff will host the night. So come on down, get your tickets, and enjoy this unique comedy show!